Two cities, a full schedule with a strong thematic side, the usual AEGEE spirit: this is what lies ahead for participants to the conference “Brexit-What next?” jointly held by AEGEE-London, AEGEE-Manchester and AEGEE-Sheffield from the 29th of November to the 4th of December. 25 participants, both AEGEEans and non-AEGEEans, will have the opportunity to tackle the issues arising from Brexit, specifically focusing on youth mobility. 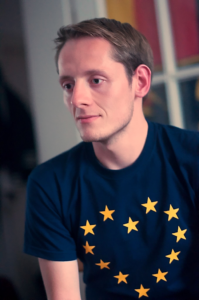 We reached Dominik Stengele, president of AEGEE-London, to discover more. The AEGEEan: Please introduce yourself to our readers. Dominik: My name is Dominik Stengele. 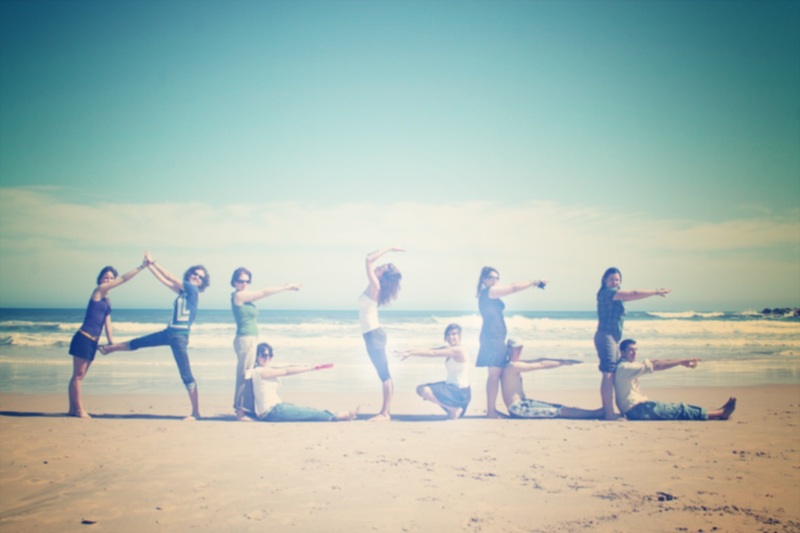 My enthusiasm about our beautiful continent and passion to travel and explore made me join AEGEE in 2013. I was elected president of AEGEE-London in July 2017 and I am programme responsible of our upcoming event “Brexit – What Next?”. 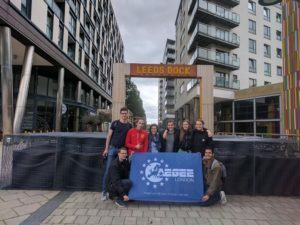 Why did you decide to organise the event “Brexit – What Next?” with AEGEE-Sheffield and AEGEE-Manchester? Our European Students’ Network has sadly never been too active within the United Kingdom, even though AEGEE-London was one of the founding antennae in 1985. Furthermore, the result of the Brexit referendum concerns us and adds uncertainty to our future as young Europeans. We therefore decided, for the first time ever, to unite as UK-based AEGEE locals and organise a thematic conference together. Which will be the contribution of AEGEE-London during the event? There is a very active and passionate group of young Europeans behind this event that works hard to make it happen. We operate in several teams in parallel to cover all aspects of the event, like thematic content, accomodation, fundraising, PR and others. Members of AEGEE-London are active in each of those teams and will be participating the event as helpers and moderators for panel discussions. 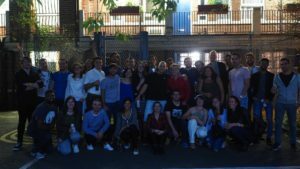 In your experience, what has changed for AEGEE locals in the UK after Brexit? Everyone in AEGEE was deeply saddened by the Brexit referendum result and we received many messages and had discussions with our fellow Europeans both here and abroad. But every crisis also opens a window of opportunity. While the United Kingdom prepares to leave the European Union, a large number of people, which in fact is majority across opinion polls, stands up and speaks out as pro-European. Due to this new enthusiasm across the society, we as AEGEE-London grew faster than the average of AEGEE in 2017, hence are able to be more active than we used to be. However the uncertainty in the air about the conditions of Brexit also worries many of us. If, for example, citizens of the European Union had to apply for tourist visa after Brexit, then this would certainly hurt our abilities to organise larger events in the future. While our impact on the conditions of Brexit is limited, our enthusiasm and dedication isn’t. And AEGEE can expect the UK-based locals to be actively participating across our entire network. What are the outcomes you would like to achieve with this event? Our event will focus on the future of freedom of movement in the United Kingdom and its consequences for young people on both sides of the channel. This advantage, which many of us take for granted, can be drastically limited after Brexit. We will discuss youth mobility in detail, both in workshops and panel discussions with experts, and will also cover related topics such as the future of Erasmus+. With this event we also show our fellow Europeans that the UK-based AEGEE locals are not only alive, but more active than ever before. We also want to take advantage of this new dynamic to organise more events in the future. Who can participate to the event and how? Everyone is welcome to apply to our event! Please find more information in the ‘Apply’ section of our event webpage. You can fill this Google Form to apply. If you’re member of AEGEE you also must fill this other form (click Apply next to the application dates, you must be logged in with your AEGEE account). The deadline is Sunday 15th of October.